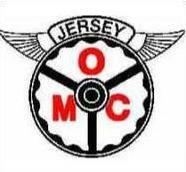 Membership of the Jersey Old Motor Club Limited is open to all persons whether or not they own an ‘eligible motor vehicle’. Please fill in the application form which can be found under FORMS. An applicant who owns an eligible motor vehicle is invited to complete the ‘eligibility declaration’ section of the application form. The form/s should be forwarded to the Company Secretary together with a cheque payable to ‘The Jersey Old Motor Club Limited’ to cover the joining fee (currently £10) together with the annual subscription as detailed on the application form. The application will be considered by the Board of Directors who convene monthly and the Company Secretary will then contact the applicant. A successful application will result in the applicant becoming a guarantor member of the Jersey Old Motor Club Limited with a maximum liability for the debts of the Club of £1. The Club is bound by its Memorandum and Articles of Association together with its By Laws which are available to view on the Club’s website.